4-Piston brake kit ready for installation in 17-inch factory rims of MINI. 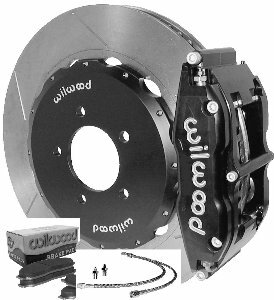 Black 4-piston racing calipers, engraved racing Directional, gas slotted rotors, pads, air type hoses and everything needed are included in this brake kit. This product exclusively to MINISPEED!